We need your help in supporting the Travel Industry in Tampa Bay and the United States. 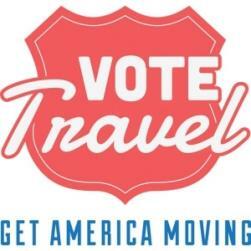 U.S. Travel launched the national bus tour in Washington, D.C. on March 21, and the “Vote Travel Bus” will be in Tampa on Monday, May 21! The bus will be located in the circle drive at the Tampa Convention Center from 9–11a.m. Industry supporters, elected officials and community members will gather at the “Vote Travel Bus” to support the Travel Industry. Date/Time: Monday, May 21, 2012 from 9a.m.–11a.m. Parking: Parking is available at the Tampa Convention Center garage, located across Channelside Drive. Normal parking rates apply. Hope to see you all there! Check back often for more information on Things To Do In Tampa Bay!